Wow, it’s mind-blowing to realize that almost four years have passed since Cut Copy last graced The Gig’s Video Clip of the Week column — and yet, that is the case. Too long, I say! So, it is our pleasure to host the Australia-based, electronic dance band’s triumphant return to our select Sunday Jam with the track “Airborne” — which a press release confirms is the first single release from Cut Copy since 2013! As you will soon see, it was worth the wait. This ambitious and visually engaging video (directed Gerson Aguerri of the Barcelona-based production company Canada) begins with a mysterious shooting star cascading across the sky, which goes unnoticed by Cut Copy lead vocalist Dan Whitford, who is deeply-immersed in composing a new song on his keyboard. What does distract him though is an attack of the midnight munchies and, upon finding nothing appealing in the fridge, he heads out for a late-night snack. Whitford’s quest turns cosmic as he hits the city streets, where a trip to the local diner turns into an episode of Twin Peaks before you can say “This Ketchup is Stuck in the Bottle!” — which nobody actually says, but you’ll get my meaning when you see the clip. My favorite parts are during the chorus, where Whitford sings the line “That don’t stop me!” while moving through a corridor of colored light bars that looks like an elaborate Dan Flavin installation. Excellent. Aurally, the track is more guitar-driven than material found on their 2013 release, Free Your Mind, but is still a distinctly Cut Copy creation. Initially Whitford’s a home-recording project, Cut Copy now includes Tim Hoey (guitars), Ben Browning (bass guitar) and Mitchell Scott (drums). 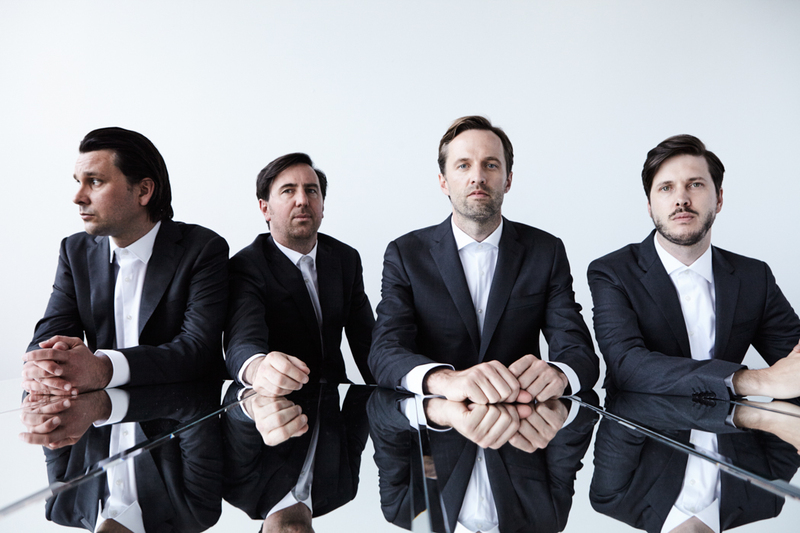 “Airborne” is Cut Copy’s first release on the Astralwerks label. Enjoy!